Whether Mazda was tired of those that questioned whether or not the Miata had enough power or they simply decided it was time to have the car that has been the poster child of “zoom zoom” offered with more power than before, the Miata will have more power for 2019. This is excellent news for those of us that love the Miata and don’t want to be apologetic or keep telling people to get in and drive before making a judgment. 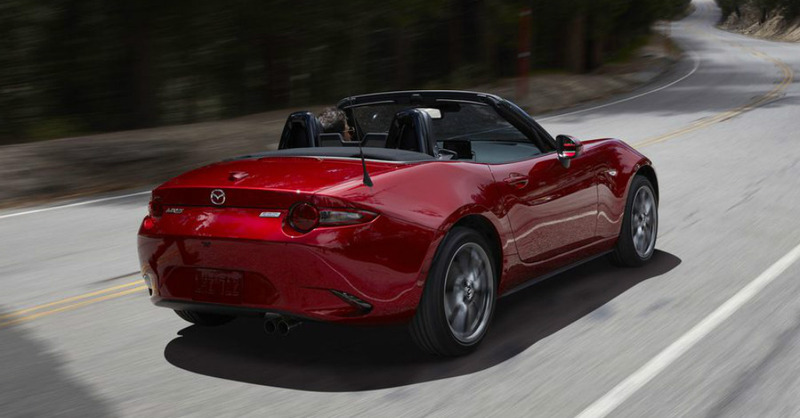 While the Miata won’t be offered with enough power to take on the big boys, it will be more powerful and more fun. The 2019 version of the Mazda Miata will still be powered by a 2.0-liter naturally aspirated four-cylinder engine and all four pistons will be lighter by 27 grams with the connecting rods lighter by 41 grams. Yes, Mazda measures the weight of this car in small enough increments to use grams as the weight. The engine will also feature reconfigured intake ports, higher pressure fuel injectors, a larger valve opening angle and an increase in the valve lift. These changes to the engine allow the power to be increased from 155 horsepower to 181 which is asignificant jump without the addition of a turbocharger. The torque is also improved from 148 to 151 lb.-ft. which isn’t quite as much of a jump, but still an increase. This engine is expected to be more efficient than the previous version and offer more torque through the rev range. In addition to the upgraded power levels, the redline of the car is increased from 6,8000 rpm to 7,500 rpm to let you have more power and rev harder to enjoy the drive even more than in previous models of the Miata. If the engine was the only thing that was upgraded this wouldn’t be a very exciting car to discuss, but there’s much more to talk about. The driving experience is improved with the reworked exhaust that sounds better than before, and a greater final drive ration and dual-mass flywheel are added to give the car a smoother performance. You’re going to enjoy the telescoping steering wheel which is now standard for the Miata, and easier to open doors with improved door stops to give this car a premium feeling. Electronically, the Mazda team added the new standard rearview camera, an optional Traffic Sign Recognition and Smart City Brake Support to the i-ActivSense suite of tech for your driving experience. Even though new features were added, the lighter engine build and components allow the Miata to only be seven pounds heavier than the previous version. If you’re looking for more driving fun than ever before, you need to see the new 2019 Mazda Miata and make it the right one for you to drive and experience what a fully-engaged vehicle with the right dose of power can be for you on the road. Looking for something slightly different? Opt for the Mazda6!